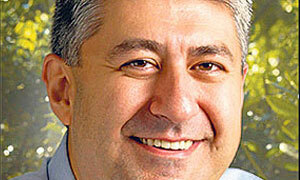 The Texas Turkish-American Chamber of Commerce (TTACC) has named Austin-based mixed-signal integrated circuits (ICs)-maker Silicon Laboratories' CEO Necip Sayıner most successful executive for 2011. 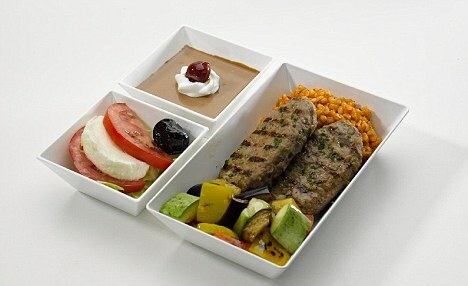 Turkish Airlines has topped a survey of those with the tastiest in-flight food. The airline beat 18 others from around the world in the poll carried out by flight comparison site Skyscanner, based on scores from passengers asked to rate food on presentation and taste. Turkish Airlines scooped the top spot with a score of 86 per cent for its offering, which features meals including stuffed eggplant and walnut pear tart. The airline also serves up a range of bespoke dishes for children and passengers requiring Kosher, vegetarian and seafood options. NEW YORK, /PRNewswire-iReach/ -- Turkish Designer, Seckin Ilker, proudly debuts her Fall/Winter 2012 Collection at Nolcha Fashion Week: New York this February. Held simultaneously with Mercedes-Benz Fashion Week, Nolcha is one of New York's leading platforms for global independent fashion designers. Ilker's new collection for this season is inspired by "reflections of emotions," with high quality garments made from silk, taffeta, organdy and French lace which create an elegant look. Ilker's line will also include her bridal extension, "Silhouette Bride," with a focus on reflecting the emotions behind "innocence," and "purity." The bridal line will be light weight including wedding dresses, evening dresses, and even a more casual take on a mini wedding dress. This season's color palette will integrate a contrast between red, black and dark blue, to pink, salmon and cream with an emphasis on romance. Named after the Turkish designer herself, Seckin Ilker Fashion House was first opened in Istanbul, Turkey seven years ago. Ilker began her career producing haute couture lines for her showroom, which attracted both local and international clients. She later grew in to designing eccentric ready to wear collections and in 2010, she created her second brand, Silhouette Bride, for wedding and evening dresses. Silhouette Bride has become one of the 'must visit' stores on Badgat Avenue in Istanbul. Since Muhtar Kent took the helm of Coca-Cola, in July 2008, he has set a course for ambitious, long-term growth—even in a supposedly mature U.S. market—with the goal of doubling revenue by 2020. Kent has tried to rejuvenate an inward-looking, “arrogant” corporate culture and has reinvested cost-cutting dividends in brand development. In an edited interview with HBR’s editor in chief, Adi Ignatius, he talks about the company’s sustainability initiatives, the value of having 33 million Facebook fans, and why an executive should never have dinner alone. Sezai Kalaycı, New York - Today's Zaman - A recently opened university in Houston, Texas, demonstrates what Turkish immigrants have accomplished in the United States. North American College (NAC), launched in 2007 by Turkish-American entrepreneurs, was converted into a university in 2009, becoming North American University, the first institution of higher education sponsored by Turkish-Americans in the US. The Council of Higher Education has been in the eye of the storm in Turkey ever since it was founded after the military coup in 1981. With 27 universities with schools, institutes, conservatories and colleges under its umbrella when it was first founded, today it has 103 state universities as a result of the government’s project to build a university in each province, and 63 private foundation universities with an increasing number particularly in the last 10 years. ?Universities in Turkey Have Started to Attract Academicians in the International Arena?? Besiktas, the Turkish basketball team that hooked New Jersey's Deron Williams, is fishing in deeper waters now. Yahoo's Adrian Wojnarowski reports that the team wants Kobe Bryant to come over during the NBA lockout. While landing the Lakers star is a huge longshot, Wojnarowski says the team has "a puncher's chance." Bryant grew up in Italy and likes life overseas. 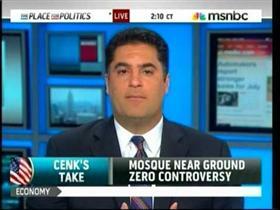 In addition, he has a huge endorsement deal with Turkish Airlines. "If Kobe doesn't want to miss a whole season if there's a lockout, and likes to live in one of Europe's greatest cities, in Istanbul, and wants to play with Deron Williams, why not?" coach Ergin Ataman said. 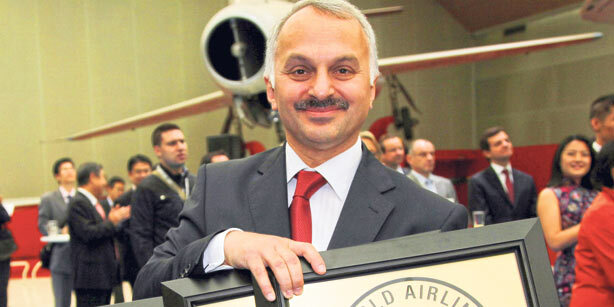 Turkey’s national carrier was named the best airline in Europe at the 2011 World Airline Awards, in a ceremony held at the French Air and Space Museum during the Paris Air Show on Wednesday. In a poll voted in by over 18.8 million airline passengers from 100 different nationalities, Turkish Airlines (THY) was awarded the “Best Airline Europe” prize by Skytrax, the world’s largest airline review site, in recognition of the quality of its in-cabin service and the range of locations it flies to in the European aviation sector. THY also won the “World’s Best Premium Economy Class Airline Seat” and “Best Airline Southern Europe” awards. The runners-up in the best European airline category were Swiss International Air Lines taking second place in the category, ahead of Germany’s Lufthansa in third position. Monday, 29 March 2010 - Ali Cinar - New York - Türk Dostluk Grubu üyesi New York Milletvekili ve Temsilciler Meclisi Dış İlişkiler Komite Üyesi Michael McMahon, New York’ta Türk toplumu ile bir araya geldi. Ali Baba Teras restoranında yapılan programda konuşma yapan McMahon, Türk-Amerikan ilişkilerine çok önem verdiğini ve sözde Ermeni soykırımı konusunda Dış İlişkiler komisyonuna gelen tasarıya hayır oyu verdiğini hatırlattı. A U.S. think tank has honored Muhtar Kent, the Turkish American chairman and chief executive of Coca Cola, with a distinguished business leadership award. The Atlantic Council presented on Tuesday its Distinguished Business Leadership Award to Chairman of the Board and CEO of Coca-Cola Muhtar Kent for the role he has played at one of the world's most respected global and philanthropic companies and throughout a career that included crucial jobs during the transition to free markets in the former Soviet bloc. Adm. James G. Stravridis, the NATO supreme allied commander for Europe, received the Distinguished Military Leadership Award for the role he has played in service and commitment to the security and promotion of the transatlantic alliance. The Distinguished Artistic Leadership Award was given to leading tenor, Placido Domingo, whose music and humanitarian accomplishments have resonated around the globe. On Tuesday, the Atlantic Council hosted its Annual Awards Dinner, which launched the council's 50th anniversary celebrations. The Atlantic Council promotes constructive U.S. leadership and engagement in international affairs based on the central role of the Atlantic community in meeting the international challenges of the 21st century. The council embodies a non-partisan network of leaders who aim to bring ideas to power and to give power to ideas by: stimulating dialogue and discussion about critical international issues with a view to enriching public debate and promoting consensus on appropriate responses in the administration, the congress, the corporate and nonprofit sectors, and the media in the United States and among leaders in Europe, Asia, Africa and the Americas; conducting educational and exchange programs for successor generations of U.S. leaders so that they will come to value U.S. international engagement and have the knowledge and understanding necessary to develop effective policies. NEW YORK, NY – Dilshodjon Rahmonov from the Manhattan General Office of New York Life Insurance Company was recently named a Lives Protected Champion. This recognition is attained by agents who in the 4th quarter of 2010 helped protect the most families in their communities with life insurance. Four hundred agents out of more than 11,800 licensed New York Life agents across the country were recognized for assisting the greatest number of policyholders with exceptional life insurance sales productivity. Mr. Rahmonov, was named the top Lives Protected Champion among “new to the organization” or “new org” agents, who are agents in the business for less than five years. With more than 40 percent of American households reporting they need more life insurance* – the highest level ever reported – the demand for professional agents in local communities across the country has never been greater. The turbulent world of political influence may lack the glitz, glamour and cameras of Sunday's 83rd annual Academy Awards. 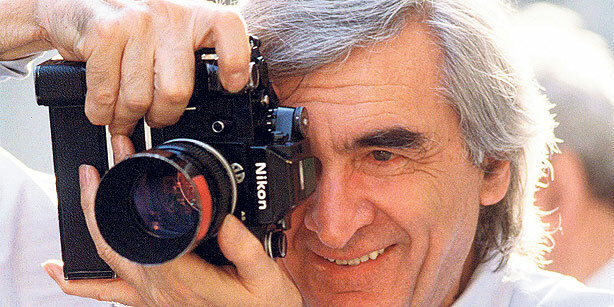 But the paparazzi may yet be intrigued by a collection of eye-popping, eyebrow-raising political contributions from Hollywood royalty that'd make John Boehner turn a new shade of red and Barack Obama see green. 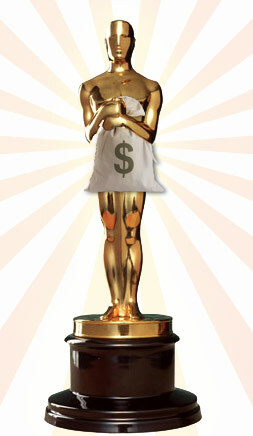 The 2nd annual OpenSecrets.org Money-in-Politics Oscars return today to bestow awards on Academy Awards nominees who best emblematize the cozy relationship between the cinematic and political elite. The big six Academy Awards are best picture, best director, best lead actor, best lead actress, best supporting actor and best supporting actress. 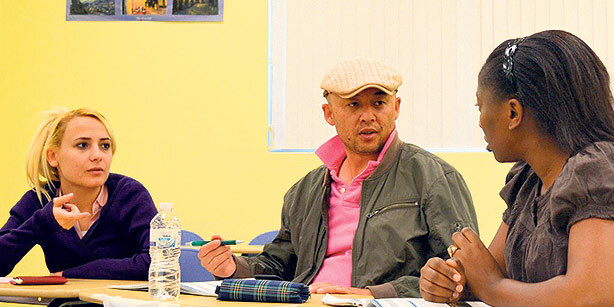 Of the various individuals up for those awards, 19 of them have contributed to politicians, political parties, political action committees and 527 organizations since the 1990 election cycle, the Center for Responsive Politics finds. And they aren't very friendly to Republicans. Of the more than $1.3 million of hard money donated by this particular cast -- contributions to candidates, parties or PACs -- more than $1.24 million benefitted Democrats. Among contributions that had identifiable partisan identification, 99 percent supported the Democratic Party, candidates and PACs.